This year the tour lived up to is ability to produce shocking “results” and newsworthy stories on top of some incredible racing, both on the flats and in the mountains. It was the closest GC finish in history, and the top three cyclists in the points competition were each just one win away from taking the maillot vert. In additon, one of the tour officials expressed his hope at the riders’ silent protest at the start of Stage 16. In the past, this official said, the riders would protest the doping controls, opposing their invasive nature and in fact their even existence. Now the peleton is protesting against the dopers, and surely this must be a sign of hope for anyone. 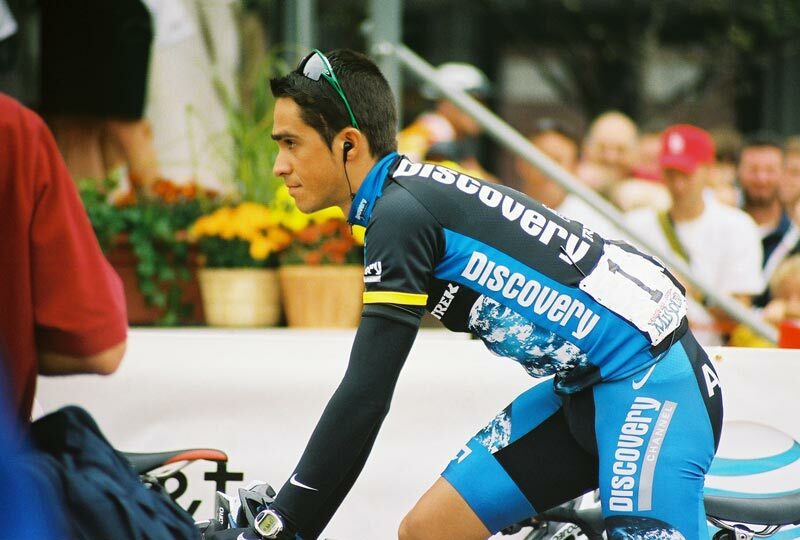 Alberto Contador. Photo by Flickr user “Murphy R”.